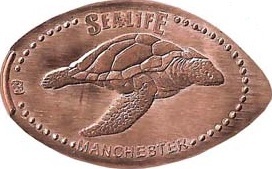 : Adults/Children £16.95. Disabled/Carer £8.47. Family Of 2 Or More £14.95 Each. Under 3's . RENEWALS: Single £30. Disabled/Carer £15. Additional Passes £22.50. PASS PERKS: 1 Year's . PLUS 20% Discount Off Food, Drink & Gift Shop. You Can Get £5 Discount On York & Edinburgh Dungeons & Legoland Discovery Centre Manchester, & 1 Theme Park Ticket In To Alton Towers Resort, Chessington World Of Adventures Resort, Legoland Windsor Or Thorpe Park. RENEWALS: Single £139. Disabled/Carer 69.50. Family Of 3 £327. Additional Passes £109. PASS PERKS: 1 Year's . PLUS 20% Discount Off Shops & Restaurants, Faster Entry Into The Attractions Above, Also Discounts For Friends & Family. NEW FOR 2016: Unknown Yet. 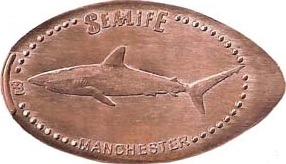 The Sealife Centre Is Situated In The Trafford Shopping Centre. Take The Directions For Barton Square. The Sealife Centre Is Next To Legoland Discovery Centre. 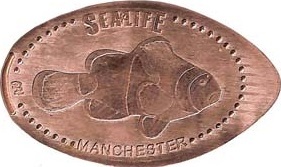 The Manchester Sealife Centre Have 1 Machine With 4 Different Designs. 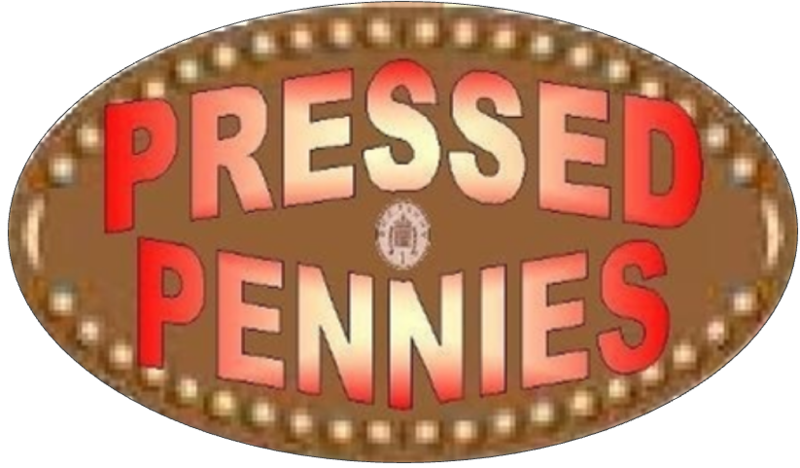 Each & Every Penny Press Costs & & The Machine Is Hand Cranked. 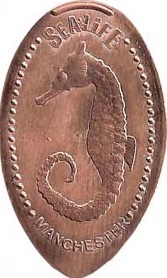 The Penny Press Machine Is Located In The Sting Ray Bay Area. © 2013/2017 Inc. All Rights Reserved.